Ramanathaswamy Temple is a famous Hindu temple dedicated to god Shiva located on the island of Rameswaram in the state of Tamil Nadu, India. It is one of the 275 Paadal Petra Sthalams, where the three of the most revered Nayanars (Saivite Saints), Appar, Sundarar and Tirugnana Sambandar have glorified the temple with their songs. The temple was expanded during the 12th century by Pandya Dynasty, and its principle shrines were renovated by Jeyaveera Cinkaiariyan and his successor Gunaveera Cinkaiariyan of the Jaffna kingdom. 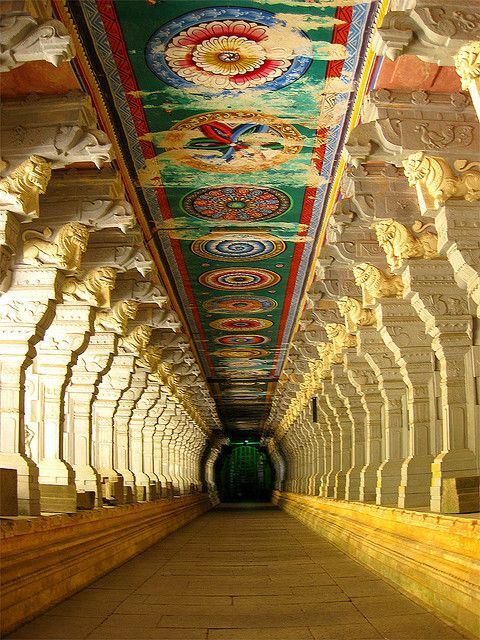 The temple has the longest corridor among all Hindu temples in India. The temple is located in Rameshwaram, an island town in South India, considered a holy pilgrimage site for Shaivites, Vaishnavites and Smarthas. The Temple is also one of the 12 Jyothirlinga temples, where Shiva is worshipped in the form of a Jyotirlingam meaning "pillar of light".